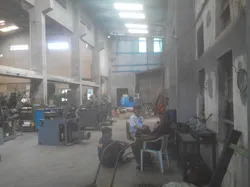 Established in the year 1947, we Perfect Machine Tools Co. Limited, are one of the premier Manufacturer, Exporter and Service Provider of a qualitative range of industrial machines are turnkey services. Our range of products and services include Single Spindle Automatic Lathe Machine, Radial Forging Machines, Crankshaft Whirling Machines, Ultrasonic Cutting Machines, Camshaft Milling Machines, Straightening Presses, Hydraulic Presses, Material Handling Systems for Steel, Forging and Aluminium Industries, Cold Forged Work Rolls, Chemical Plants - Nitrocellulose, Nitroglycerin, RDX, HMX (turn key projects), Pumping Systems for Oil & Gas and Steel & Refineries . We are constantly growing to the new heights of success under the able leadership of Mr. V. R. Zope, who is our Chairman and Managing Director. He has in depth knowledge and experience in this industry. Under his guidance, we strive to achieve maximum client satisfaction by providing them with qualitative range of machines and services. Moreover, backed by the experience of our CMD and our proficient team we have carved a niche in the industry by offering an unmatched range of products to our esteemed clients. 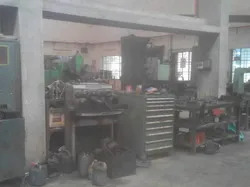 Over the years of our establishment, we have pioneered in manufacturing various industrial machines and also in offering turnkey services to our esteemed clients. Our range of products and services include Single Spindle Automatic Lathe Machine, Crankshaft Whirling Machines, Radial Forging Machines, Camshaft Milling Machines, Ultrasonic Cutting Machines, Starightening Presses, Hydraulic Presses, Material Handling Equipments for Steel, Forging and Aluminium Industries, Rotary Tables, Hydraulic Cylinders, Cold Forged Work Rolls, Horizontal Borers, Spring Coiling Machines, Pumping Systems for Oil & Gas and Steel & Refineries. For the success of any organization, a competent team is the most important attribute. For this, we have employed the best talents of industry, who are highly qualified and experienced in their respective domain. Our personnel are dedicated and hardworking people, who are committed to achieve all the organizational goals of our company. They work in close coordination with each other, creating a healthy and professional work environment that further leads to develop their skills. We have carved a niche in the industry by offering unmatched range of industrial machines and turnkey services. Moreover, we have garnered the faith of our esteemed clients with our transparent and ethical business dealings as well as our client-centric approach.